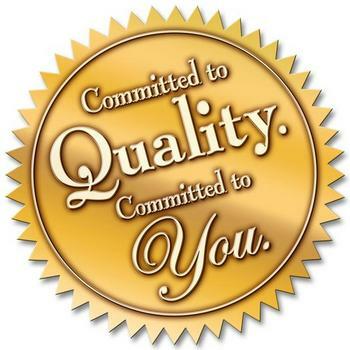 Quality is an experience which a customer carries with him/ her back to his home and feels proud owner of the purchased product. That is quality when a customer is rest assured about his decision and sleeps at peace after purchasing a product. I would like to cite an example here. I wanted to purchase a laptop and my husband told i should go for Dell without giving a second thought. I purchased the laptop and soon started experiencing some problems. I contacted Dell and they gave me immediate response. Wow that is what i call quality. I even referred my sister and friends to purchase Dell laptop because of their great service. The market is flooded with all types of products and sustaining in this volatile market is not easy if you do not stand out and do not deliver quality. There should be something more which only you have and others lack. The customer should take your name with pride and feel proud to associate with you. For example Samsung. We associate this brand with quality and are ready to try a new product which the company launches. It is the whole customer experience which sells and not just the product. So next time your customers run away from you, do full analysis and improve the sales experience. You are bound to make profits.